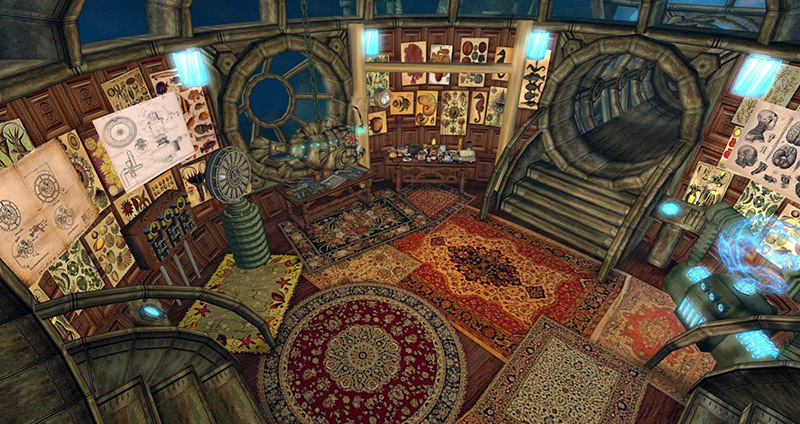 Designing Worlds explores Flotsam – and enters the amazing world of Aley – now on the web! 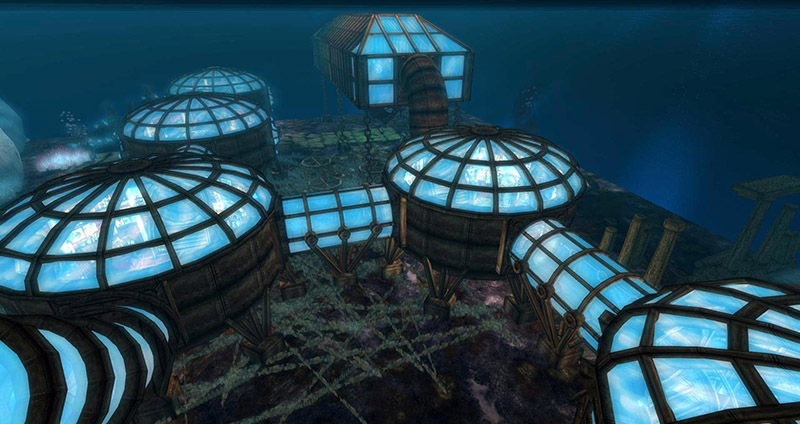 Don’t miss the recent Designing Worlds show where we visit we visit the wonderful Freeport Township of Flotsam, feed the Kraken, encounter the Nautilus and Captain Nemo’s underwater observatory, contemplate a trip to the moon and a voyage to the centre of the earth – and undertake an amazing underwater journey – all courtesy of the fabulous creative Aley! 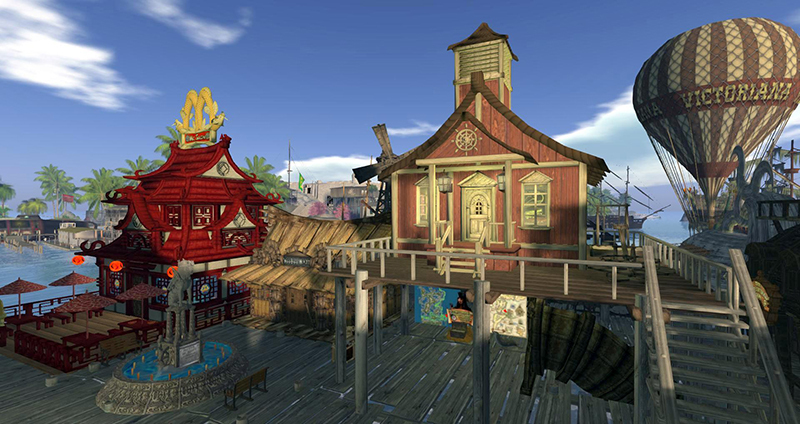 Aley has – under a variety of guises – been an amazing creator in Second Life for a great many years, and the Freeport Township of Flotsam is a brilliant example of her skill, her inventiveness and her sense of fun! It’s a floating town in Blake Diego, with strong overtones of Jules Verne – as we discovered whenwe visit Nemo’s Observatory, Saffia explores the Nautilus and Elrik takes a perilous journey to the centre of the earth! But there are other elements too which are wonderful to discover. Who can resist feeding the kraken (even if it takes a whale to satisfy his appetite), or dining yourself at one of the restaurants – McSushi, perhaps, with its dragon arches, or The White Whale (which serves excellent seafood)? Each building holds stories and surprises – some enchating, some alarming … what could have happened to the previous occupants of Stan’s Previously Owned Coffins? As we discovered on last week’s show, Aley has also been busy decorating the waters of Blake’s Deep and we conclude by taking an underwater tour that leads us to a fantastic underwater mer carnival (the tour continues without us – but we couldn’t resist stopping off here!). All in all, this is a fantastic show – and most of the items we see are on the Marketplace at AleyMart – and all absolutely free. You can see more of Aley’s works at the Second Life 11th Birthday Community Celebrations. One of these is in The Blackened Mirror exhibit. As part of an amazing demonstration of Rescene (you really must get over there and try it out!) we have re-created the mad scientist’s laboratory that appeared in Episode 1 of Season 2. And there are two exhibits devoted to Aley’s work – the historical All Things Aley, SL11B Branch, which focuses on the history of her wonderful creations as Aradia Asylum (2006 – 2008) when she was such a great part of founding the “hobo ethos” of producing high quality free content, as Aley Ariai (2008-2010) , as Lora Lemon, and most recently as Aley (2011 – present), in addition to presenting material on the Boardman themed community which was created back in the beta era of Second Life – and still exists today! And then there’s the Arcadia Asylum – Living Library & Freebie Center, a wonderful display by a group of like-minded individuals, working to preserve and catalogue the works Aley in all her incarnations, and to make these items available to all for free. 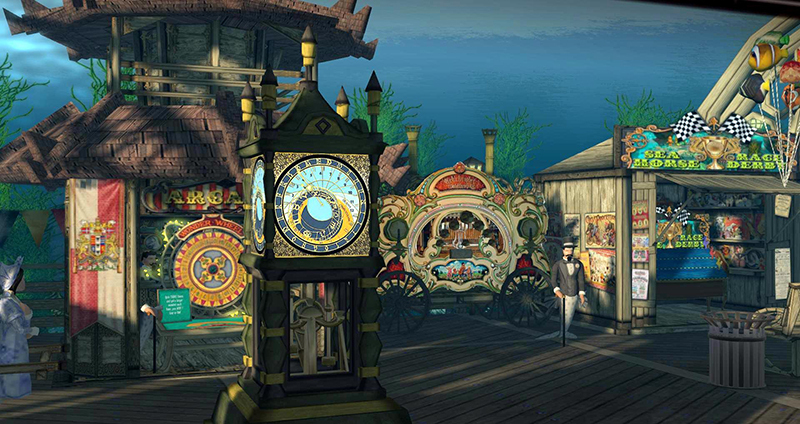 Previous Post: More time to Hunt around at the SL11B Community Celebration! 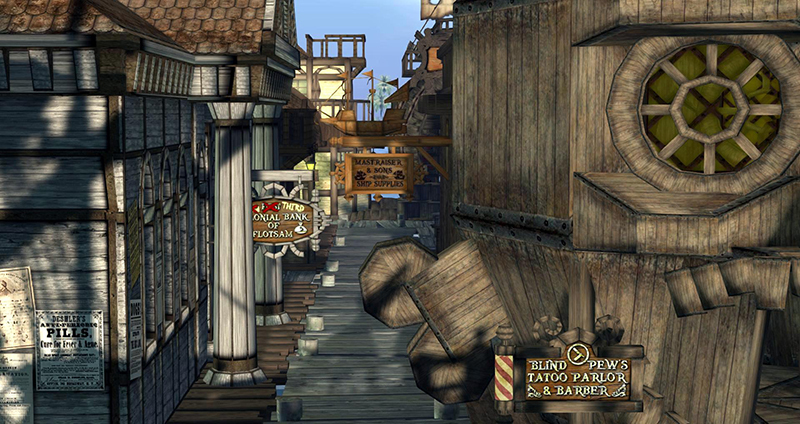 Next Post: Prim Perfect talks today at the SL11B Community Celebrations: Mesh Creative and Fantasy Faire!